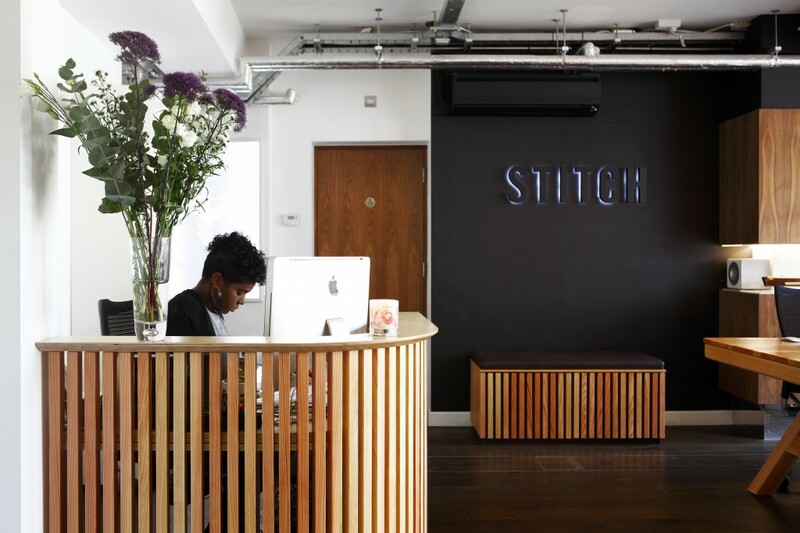 To design and install 2 suitably sound insulated TV editing suites, at Stitch’s UK headquarters, based in London’s West End. 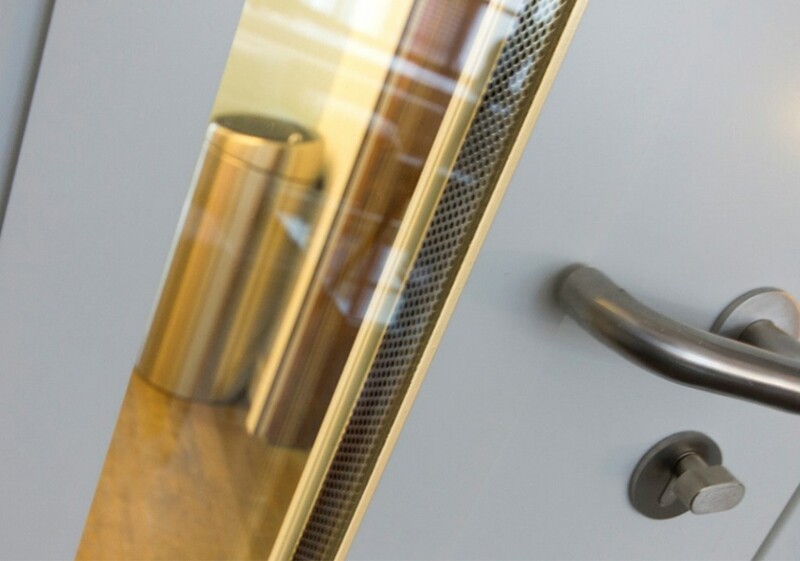 To work alongside an office fit-out company (undertaking a general refurbishment of the office space) and, in so doing, develop a scheme of works that blends seamlessly with their design proposal. To complete works within a very specific and restricted time-frame (over the Christmas holiday period), so as to minimise disruption to Stitch’s commercial operations. A site survey was carried out, including a structural investigation, to identify weak points, in terms of ‘flanking transmission’, to and from the allocated spaces, for example, ceiling and floor cavities, ducting and trunking. 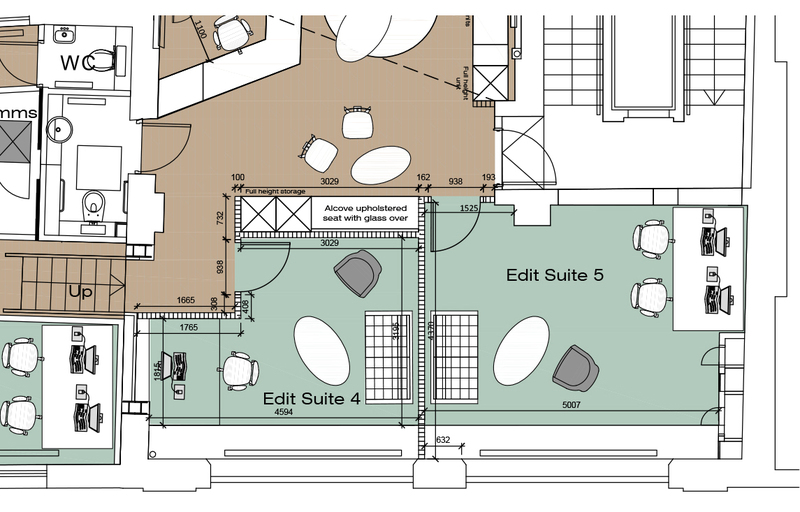 Based on the data recorded, a soundproofing system, specified at *Rw53dB, was designed to fit within the main contractor’s proposed floor plan. 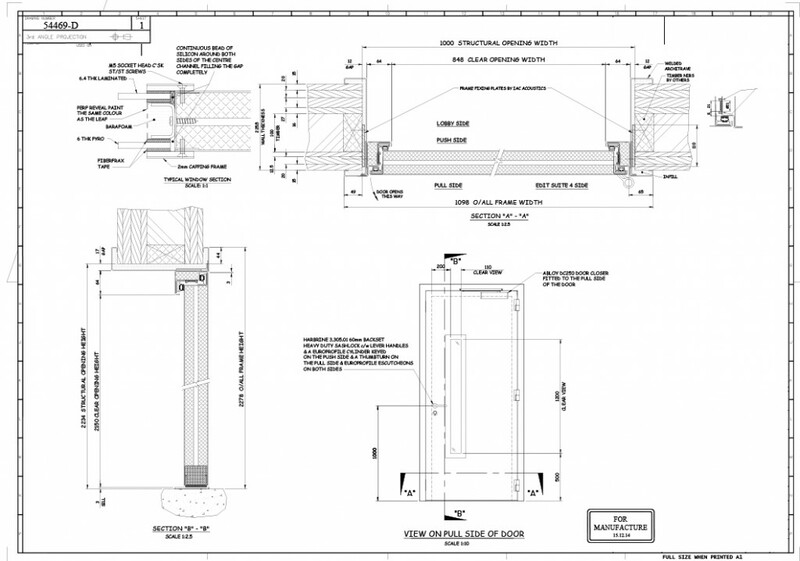 Technical drawings for the acoustic doors and windows were drafted and signed-off, by the client, before manufacturing commenced. 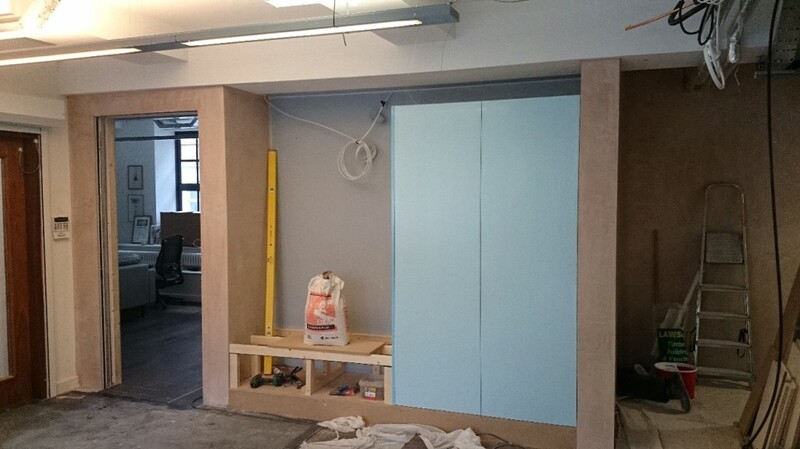 (1) Existing partitions and flanking structures internally and externally sound insulated. 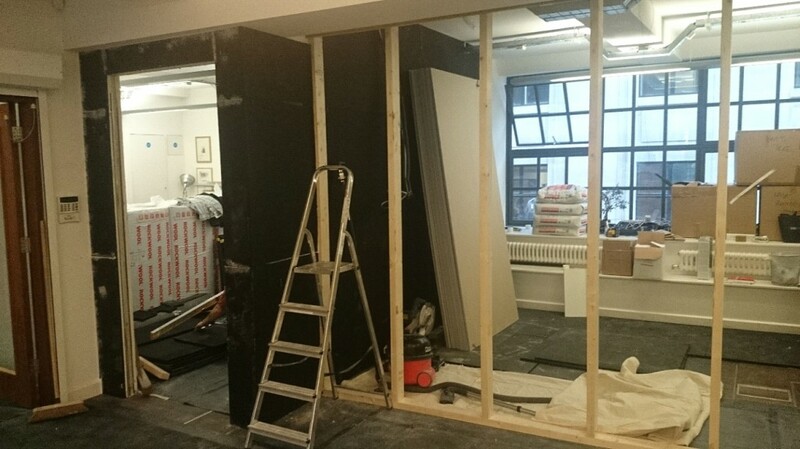 Framework for new partitions formed. 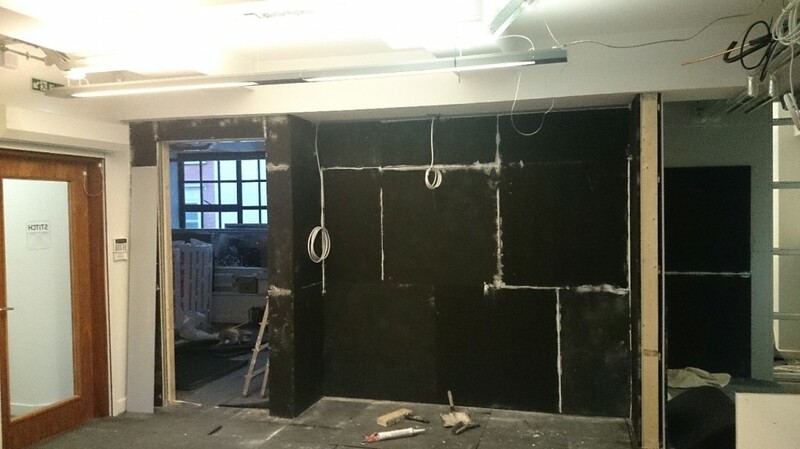 (2) Framework for new partitions internally and externally sound insulated. 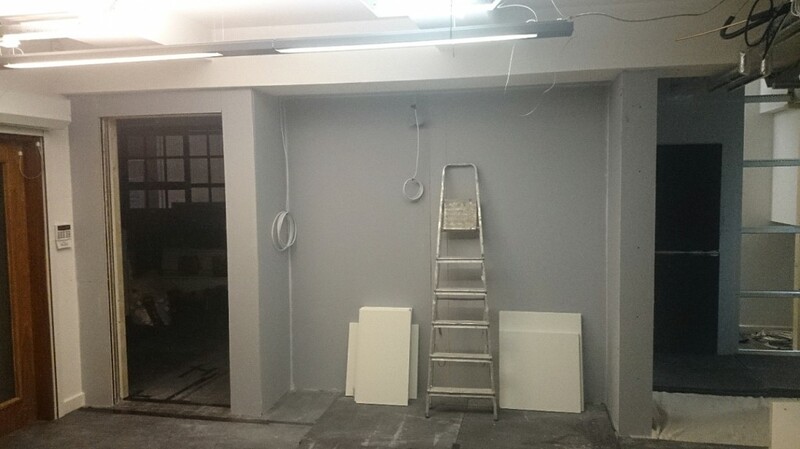 (3) Final acoustic plasterboard layer applied to new and existing partitions, acoustically sealed and plaster finished, prior to installation of acoustic doors and windows. On completion, both suites were tested and inspected to verify compliance with the pre-specified acoustic performance criteria. The project provided Stitch with 2 additional TV editing suites. Consequently, they can operate at greater capacity, increasing their market presence and profitability. 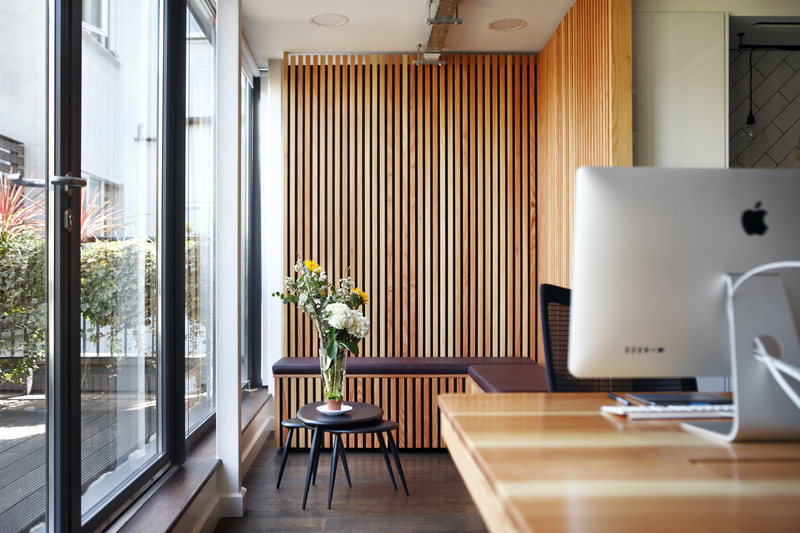 The installation sits comfortably with the main contractor’s design scheme, resulting in a refurbished office space, which reflects Stitch’s design-led identity, without compromising on acoustic functionality.